US Local Chapters, Wiki, and general Bogleheads community discussion, news, events, and announcements. Join in, all ye denizens of the Valley of Hearts' Delight and Silicon Valley. The San Jose chapter was dormant for a while; let's re-invigorate it! Our new name is South Bay Bogleheads. Last edited by alanwbaker on Sun Feb 04, 2018 7:17 pm, edited 2 times in total. Wow! Thanks for setting this up, Alan. So, today I went over to Sweet Tomatoes to nail down the room reservation for our Thursday, April16th meeting. We have the room from 6:30-8:30 PM. There's a $50 fee, payable on the date. I'll handle that and just take an offsetting collection at the meeting. There is no requirement or expectation on the part of Sweet Tomatoes for anyone to buy any food or beverages. Yep thanks for setting this up. Following...can't commit to attending yet but will try. Thanks for setting this up. I am not a 100% sure if I can attend..
Great to know about this and looking forward to meeting fellow Silicon Valley/San Jose Bogheads. Hi San Jose area Bogleheads. I would be curious what you think about the housing market here and whether it makes "Boglehead" sense to buy a house now when prices are so high. Afty wrote: Hi San Jose area Bogleheads. I would be curious what you think about the housing market here and whether it makes "Boglehead" sense to buy a house now when prices are so high. Personally, I would wait for the next downturn if I can. Especially if I am a first time home buyer. And "good schools" is a requirement. But it all depends on the individual situation (needs and finances), of course. I think these kinds of decisions need to be made in the context of an overall written financial plan. Regardless of the financials, is owning your own home an aspiration and stated goal? Are you likely to live in the home for at least five, maybe ten years? What's the risk of income interruptions that might make it difficult to service the mortgage? There's been a lot of variation in price trends in different parts of Santa Clara county since 2007. Typically, prices are about where they were eight years ago. In PE terms, housing is selling for a multiple of about 20x earnings. That is, homes are selling for about 20x annual rent. That's not cheap, but not nosebleed either. In more desirable locations, it's higher, and in less desirable ones, lower. The ratio of median home price to median household income is another value metric. Currently, homes are about 9x median household income. Again, not cheap, but not nosebleed either for this area. jc42 wrote: I think these kinds of decisions need to be made in the context of an overall written financial plan. I can give more context. My wife and I moved here 3.5 years ago from Boston for work. My wife is a physician, and I am a software engineer. We're in our mid-30s and have two small children, 5 and 1 1/2. Since we moved here, we have been renting homes in Sunnyvale. The first home we lived in, I discovered a water leak under the house, and when they went to fix it, they found that the plumbing had essentially disintegrated and needed to be totally redone. They discovered termites as well. They declined to renew our lease, and in the middle of a time with a lot of external stress for our family, we had to find and move into a new house, which incidentally cost 50% more in rent. With my older daughter about to enter kindergarten, I would like her to have some stability and not run the risk of having to switch schools if something happens with our house or landlord. My wife and I have always wanted to own a house, and at this point in our lives, I just want to be settled and be able to plan for the long term. I'm tired of temporary arrangements. We do plan to be here for the next 15-20 years, until the kids go to college. I remember when we moved here in 2011, I thought that the house prices were in a bubble. A 3br/2ba on our street had listed for $980k and sold for $1.08 mil, and I thought that was just insane to pay $100k over asking. Now that same house would sell for probably $1.6 mil. I kind of wish we had bought then. Actually there have been like 3 recent threads on buying homes in the SF Bay area and many more, can I humbly request that we NOT turn this thread into a discussion of issues that are already pretty well addressed in other areas of this forum. jc42 wrote: There is no requirement or expectation on the part of Sweet Tomatoes for anyone to buy any food or beverages. Thank you both for organizing this! I plan to attend. Is it expected that those attendees who want to eat there should eat before/after 6:30 - 8:30? Or, is the room suitable for, and the group will be ok if they eat during 6:30 - 8:30? Will this be a 'free agenda' get-together, or, will there be some 'BH kind of' topic, though may be not a strictly structured meeting? Thank you. I plan to attend as well. would you PM me the address for the event? We have a group dining room reserved from 6:30-8:30PM on Thursday, April 16th, at Sweet Tomatoes in San Jose. Sweet Tomatoes is at 113 Bernal Road. The major cross streets are Bernal Road and Santa Teresa Blvd. The room is not obvious; but it's past the cash registers and to the right. Or just ask someone to point out the group meeting room. Sweet Tomatoes requires a $50 fee. I will pay that up front and leave a collection basket out for those who would like to chip in some reimbursement, thank you. There is no obligation or expectation for anyone to buy any food or beverages. Regarding the agenda, I think 6:30-7:00 is a good time to arrive, get something to eat if you want, and generally meet other folks. The room is a dining room, so there's no problem with eating there. People who want to eat later can do so. I don't think we need to be dogmatic about when to eat. From 7-8 I'd like people to introduce themselves, say what brings them to the group, what they would like to get out of it, and what they can contribute. Your contribution could be certain experiences, skills, knowledge, whatever. It needn't be directly or specifically personal finance related; a lot of useful knowledge arises from cross-disciplinary interaction. It would be a good idea if people thought about what to say ahead of time so they can listen to what others are saying rather than thinking about what they want to say. From 8-8:20, we should decide on the next meeting date and time, venue, agenda, and possible presenter(s) if that's in the cards. Our meeting will adjourn at 8:30. The restaurant closes at 9PM. Last edited by jc42 on Tue Apr 07, 2015 11:38 pm, edited 1 time in total. The article seems to say the rate of increase in price has dropped to now "only" 7.9% per year. "In late February, a very run-down four-bedroom house along the Outer Sunset's Great Highway listed for $799,000. The listing warned that the property was "in a deteriorative state" and that it was "not for the novice" to fix up. The property looked to be almost ripped apart, with carpeting torn off the stairs, drawers and appliances pulled out of the kitchen, and a boarded-over hole in one door. None of that mattered to the buyers, who saw potential in the ocean views and paid $1.21 million in all cash. The final price came in at $411,000 over asking." One nice thing about these posts is that they stay here forever. So in a few years we can come back, see what unfolded, and hopefully learn from it. I'm in the camp of it's never "different this time" and history may not exactly repeat but it seems to rhyme. When is the San Jose chapter meeting? I'm looking to network and meet ppl with the sameambitious financial mindset. I'm not going to be able to make it to this but will try to next time. southbayrider2 wrote: When is the San Jose chapter meeting? I'm looking to network and meet ppl with the sameambitious financial mindset. I will be there this evening. Thank you for setting it up! San Jose Bogleheads Ramping Up! Last night 13 of us gathered at Sweet Tomatoes in South San Jose. There was a wonderful flow of energy expressed across a wide range of age and experience. We spent most of the time introducing ourselves, saying what draws us to the group, what we would like to get out of it, and what we can offer. So great that the next meeting was quickly and easily scheduled. Once again, it will be at Sweet Tomatoes, 113 Bernal Road, in San Jose. The major cross streets are Bernal Road and Santa Teresa Blvd. The date and time is Thursday, May 28th, 6:30-8:30PM. All are welcome. Bring a friend! At this meeting, I'll lead a review and discussion of the Vanguard Philosophy. Actually, it's called Vanguard's Principles for Investing Success. We chose this topic because it's foundational and helps assure we're all on the same page. Let's use the first 30 minutes to gather, settle in, and meet new people. We can use the time from 7:00-8:10 for the featured topic. Then we'll set the next meeting and close. The restaurant closes at 9:00. Sweet Tomatoes requires a $50 advance. As previously, I will handle that and leave a collection basket out for those who would like to chip in some reimbursement, thank you. The next meeting of the San Jose Bogleheads will be at Sweet Tomatoes, 113 Bernal Road, in San Jose. The major cross streets are Bernal Road and Santa Teresa Blvd. At this meeting I'll lead a review and discussion of the Vanguard Philosophy. Actually, it's called Vanguard's Principles for Investing Success. Let's use the first 30 minutes to gather, settle in, get something to eat (optional, not required) and meet new people. We can use the time from 7:00-8:10 for the featured topic, then set the next meeting and close. Sweet Tomatoes requires a $50 advance. Like last month, I'll handle that and leave a collection basket out for those who would like to chip in some reimbursement, thank you. You guys and gals did a great job on more than covering the fee last month, so we're $27 ahead of the curve for this month. 13 enthusiastic folks came to our organizational meeting last month and we've decided to call ourselves the South Bay Bogleheads. Our second meeting is coming up and you are welcome. Our own Jim Cosgrove will give us an overview of the Vanguard philosophy to get us started on the right foot. And there will be lots of time for interaction and Q&A. That's Thursday, May 28th, from 6:30-8:30PM. We'll be in the "back room" at Sweet Tomatoes, 113 Bernal Rd, San Jose. Good work guys but your meeting is just so awfully South of South Bay we can't make it. Maybe Sunnyvale/Santa Clara next time? The next meeting of the San Jose Bogleheads will be at Sweet Tomatoes, 113 Bernal Road, in San Jose on Wednesday, June 17th, 6:30-8:30PM. At this meeting Chad Minnis has agreed to lead a review and discussion of robo-advisers- what they are, how they're used, their costs and benefits. Thank you Chad! We'll use the first 30 minutes to gather, settle in, get something to eat (optional, not required) and meet new people. We can use the time from 7:00-8:10 for the featured topic, then set the next meeting and close. Sweet Tomatoes requires a $50 advance. It's $52 after taxes. As has become the custom, I'll pre-pay and then pass the basket for a free-will donation, thank you. We're +$14 now, so everyone's doing a great job of covering this. The next meeting of the San Jose Bogleheads will be at Sweet Tomatoes, 113 Bernal Road, in San Jose on Thursday, July 23rd, 6:30-8:30PM. The major cross streets are Bernal Road and Santa Teresa Blvd. At this meeting I and my wife (Jane) will lead a discussion and activity on the household Financial Policy Statement (FPS). This is an adaptation based on Charlie Ellis’s Investment Policy Statement that he wrote about back in the 90’s and is now widely used. We will also bring blank forms and guide attendees in beginning to craft their own FPS. We'll use the first 30 minutes to gather, settle in, get something to eat (optional, not required) and meet new people. Our topical material will be offered from about 7:00-8:15. Then we’ll talk about the next meeting and adjourn by 8:30. The restaurant closes at 9:00. Sweet Tomatoes requires a $50 advance; $52 after taxes. I’ve pre-paid to secure the room. As is the custom, we’ll pass the basket for a free-will donation, thank you. We're -$4 now, so we need a little amping up of the donations. I know you will. The next meeting of the San Jose Bogleheads will be at Sweet Tomatoes, 113 Bernal Road, in San Jose on Thursday, August 20th, 6:30-8:30PM. The major cross streets are Bernal Road and Santa Teresa Blvd. This month features a two-fer. First, Derek will present on "Paying Yourself First, Automatically." This is a Great Topic for those of you on the young side of 40, and for those of you whose children are stepping into adulthood. Then I'll facilitate a discussion on a portfolio pre-mortem as described in a recent Wall Street Journal piece ( http://blogs.wsj.com/moneybeat/2015/08/ ... ext-panic/. We'll use the first 30 minutes to gather, settle in, get something to eat (optional), meet new people, chat. The topical material will be offered from about 7:00-8:15. Then we’ll talk about the next meeting and adjourn by 8:30. I've pre-paid the $52 Sweet Tomatoes requires to guarantee the room. As is the custom, we’ll pass the basket for a free-will donation to cover the cost. All are welcome. No RSVPs needed. Bring a friend! Septmer Meeting Scheduled: We've Moved! Place: Starbuck's Cafe in Barnes & Noble on Almaden Expressway and Hwy 85. Topic: Gordon will lead a discussion on Asset Allocation. He's extremely knowledgeable and published on the topic. You can check his website at https://www.aacalc.com/. We'll start gathering at around 6:45, begin the program 7:00, and wrap things up by 8:15. No RSVPs required. All are welcome. Bring a friend. Jim will moderate an informal discussion on what people are doing (or not doing) in the less benign market environment that has developed this year. So this is a good opportunity to come and tell your story, or just hang out and hear what others have to say. Either way, you'll probably learn something. If anyone went to the Boglehead Conference in October, we'd love to hear about your experience. And finally, what are your thoughts on what you'll do in 2016? We'll start gathering at around 6:45, begin in earnest at 7:00, and wrap things up by 8:15. Jim will moderate an informal discussion on what people are doing or plan to do in 2016. Come and and tell your story, or just hang out and hear what others have to say. Either way, you'll probably learn something. Jim will moderate an informal discussion based on what you bring to the table. Or if you have a topic you'd like to present, just let us know so we are sure to use our time wisely. Hey everyone, it’s our one-year anniversary! In this meeting I'll lead a review and discussion of the Vanguard Philosophy aka Vanguard’s Principles for Investing Success. We chose this topic because it's foundational, it’s numbers light, easy to understand, and helps assure we're all starting on the same page. This also makes it a great opportunity to come check us out if you've been "thinking about it." We'll start gathering at around 6:45, begin in earnest at 7:00, and wrap up by 8:15. No RSVPs are needed; just show up. All are welcome. Bring a friend, an ex, parent, child, or spouse. The original intent to feature an overview of wills, trusts, durable powers of attorney, beneficiaries, and so on has been deferred to Saturday, May 14th. More information coming soon. So in April we'll do "Open Forum." Bring your questions, ideas, topics and lets knock it around. Jim (that's me) will give a brief overview and description of the Dept of Labor's new fiduciary rules-- what they are, what it means, how you might be affected. "Open Forum" means to bring your thoughts, questions, ideas, topics and have an opportunity to explore them. We'll start gathering at around 7:15, begin in earnest at 7:30, and wrap up by 8:45. No RSVPs are needed; just show up. All are welcome. Bring a friend, an ex, a parent, child, spouse, or new graduate. 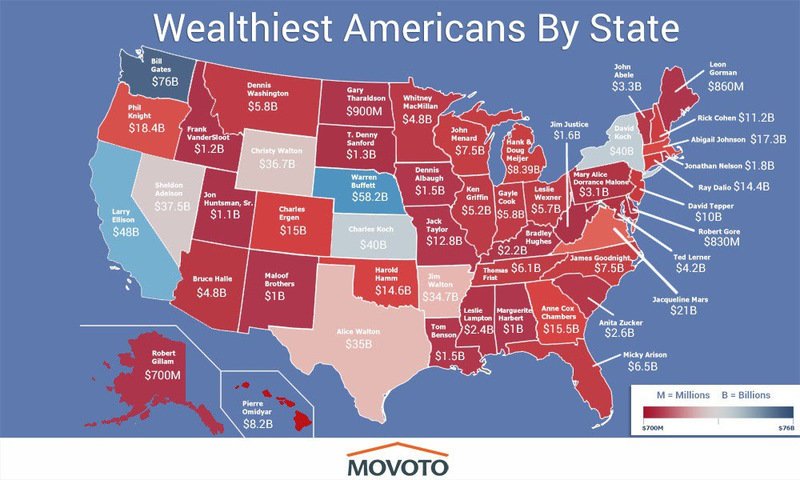 According to the graphic here, http://ritholtz.com/wp-content/uploads/ ... -State.jpg, at about $17 billion, Abigail Johnson is the richest person in Massachusetts. If you're unfamiliar with the name, she's the current CEO of Fidelity Investments, and the granddaughter of the founder. Suitability has been a wonderful standard. I'm new to boglehead investing and have been reading a lot of boglehead recommended books. I'd love to attend a San Jose meeting with Bogleheads. When is the next one? The next San Jose Bogleheads meeting is scheduled for Thursday, July 23rd. It'll be at the Starbuck's Cafe in Barnes & Noble, near Hwy 85 and Almaden Expwy, from 7:30-8:30. No particular topic has been offered, so we'll likely be in Open Forum form. Although Brexit is in the news right now, by the end of July we'll be in full out political convention distraction. Feel free to join us! I think Jim means Thursday, July 21st. Yep. I was looking at the June calendar. Sorry. The San Jose Bogleheads will meet on Thursday, August 25, 7:30-8:30 PM, in the Starbucks Cafe at Barnes & Noble on Almaden Expressway near Highway 85. Last month we agreed to have a session on Target Date and Life Strategy funds. - Just show up, have a listen, ask questions, and learn what you can. - Talk about how you use these investments, or why you don't. I just discovered this local chapter.... is there a process to join the group or can I just come to the next meeting? There's no process, just show up at the next meeting which is on August 25 The meeting details are in jc42's recent post. Yes indeed. As jakes stated, just show up. See meeting details in my August 2 note. jc42 wrote: Yes indeed. As jakes stated, just show up. See meeting details in my August 2 note. The San Jose Bogleheads will meet on Thursday, September 22, 7:30-8:30 PM, in the Starbucks Cafe at Barnes & Noble on Almaden Expressway near Highway 85. This month's topic will be managing taxes in non-tax deferred accounts. If you've had some experience with this, or just want to come hear the conversation and learn something, show up! Also, Kathleen Ryan, who has led the Bay Area Bogleheads for a long time, and helped create the San Jose Bogleheads, is stepping down from her post. If you have an inclination to step up in her place, please let us know. Curious if the locals can comment on estate planning professionals & co-trustees & investment managers who use passive and index funds with a 3 fund folio. I'm doing estate plans and would like to name a corporate co-trustee for a beneficiary in case I pass. Who do you all use? (Vanguard may be the choice, but curious what the other locals use). The San Jose Bogleheads will meet on Tuesday, October 18th, 7:30-8:30 PM, in the Starbucks Cafe at Barnes & Noble on Almaden Expressway near Highway 85. An investor who socked away $10,000 in an S&P 500 index fund four decades ago would now have $560,000. That same wad of money invested in five ___(I'll name the fund group at the meeting)___funds that mirrored the S&P 500 would be worth $1.15 million- net of fees. Really? I thought. Show me. So I did some work on this and will share my findings at the meeting by way of an advisor-client role play. Who wants to be a "client?" Could be a fun session. New here and I missed the meet up this week. Plan to attend the next and learn lots of interesting things. How many people usually show up? just curious. Is it every week? at Barnes & Noble near Hwy 85 and Almaden Expressway. what your strategy is 2017. No RSVPs needed. Just show up. Bring a friend. Last edited by jc42 on Tue Jan 10, 2017 5:36 pm, edited 1 time in total.